We have a lot of A/B testing case studies on our website now. Most split testing case studies describe a single change and discuss the increase of conversion rate it caused. However, this post is a compilation 3 different A/B tests on a single website. This one is a great case study to see how some companies take multi-pronged approach to successfully optimize different steps of the funnel. 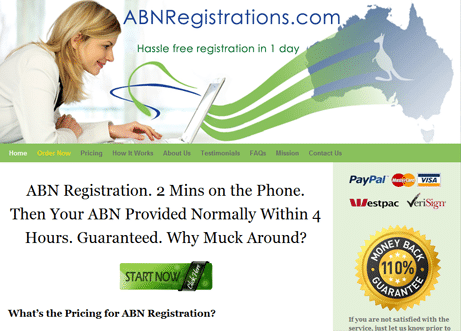 These A/B tests were conducted by one of our customers ABNRegistrations.com who provide quality ABN registration (Australian Business Number). 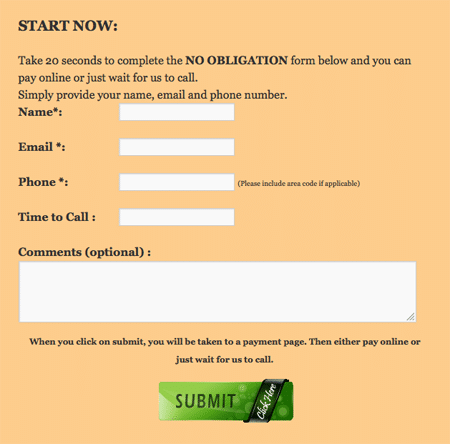 This (apparently) simple change boosted their conversions by 10%. What’s amazing is that as a side effect of this 4 hour response guarantee, ABNregistrations.com increased their overall quality of service. This phenomenal increase occured thanks to complete redesign of signup form. They increased conversion rate from 30.88% to 38.88% (an increase of 25%). You can see this another case study which shows how redesign of sales page increased sales by 20%. Don’t assume anything without testing it. Visual aids/images are just as important as text. Simple changes can make a difference. VWO was incredibly valuable in helping us achieve this, both in terms of the ease of use of the system AND the idea for using the green ticks. I recommend that other business owners and managers take the time to read through VWO’s ideas and brainstorm the things that they might be able to try in a split test. Also, testing should never stop. We are already setting up our next test for the same page. Needless to say, we are very happy for their success and hope they will continue split testing for many more months to come!